Going beyond the standard 4-colour CYMK printing process, the addition of printing white provides an opaque background for transparent materials, expanding the possibilities for personal care product, food & beverage product labelling and more. Printing white also presents new creative options when used on black or other coloured materials, including metallic silver and gold. 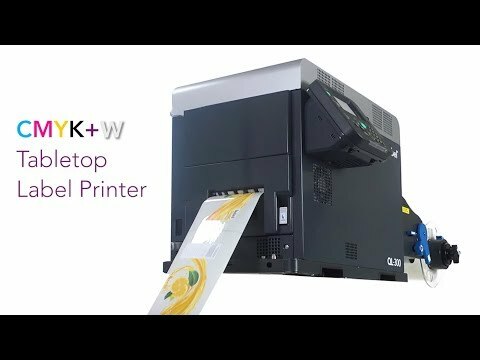 The QL-300 even allows users to achieve a “spot UV” sheen or varnished appearance when printing black and other colours onto a coloured matte substrate. Every QL-300 also includes one free license to CQL Pro, our advanced labelling software, which allows users to effortlessly design, manage and print their own labels. Ideal for: personal care products, cosmetics, food and beverage, e-liquid, chemical, promotional products labelling and more.